Product code: 1279 Categories: Sold Items, Sold Watches. 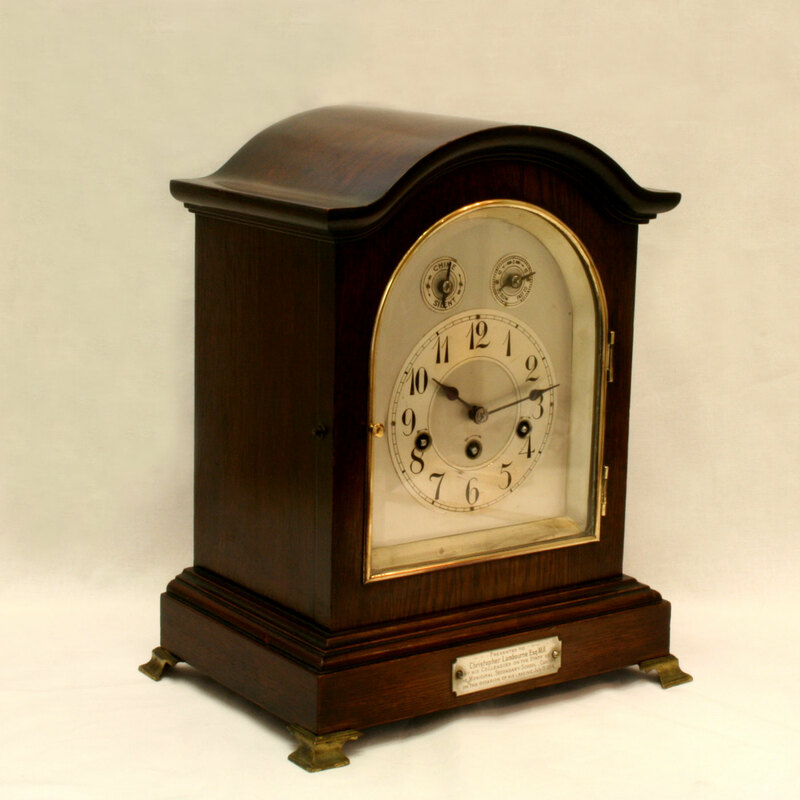 This is a very solid and masculine clock made in 1914 and fitted in a very solid timber case. 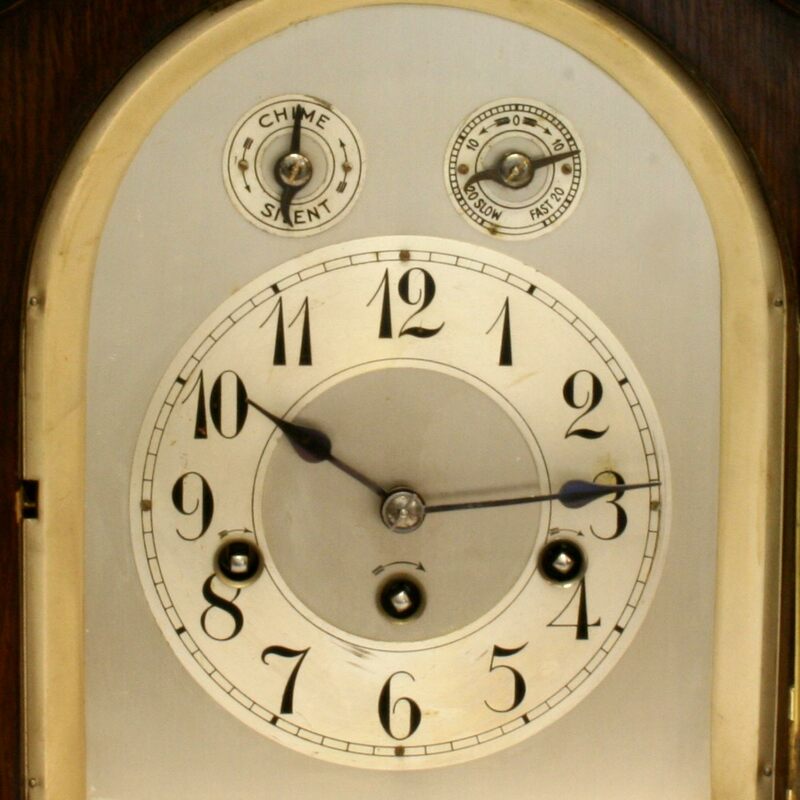 The movement is by the German company Junghans and this is a clock that you will fall in love with when you hear it strike the hours. With the full Westminster chime for the hours, it also strikes at a quarter past the hour, half past the hour and a quarter to the hour. The dial displays Arabic numerals and has the ability to easily turn the Westminster chime on or off as well as adjusting the time. A great clock that looks wonderful.